Every now and then one of our customers takes the time to send us some feedback. We post some of these here. Just a quick thankyou for the great service - much appreciated. We received goods on the Friday and installed in time for the Canvas guy on the Sunday. Boat covers now in place and looking terrific. Thanks again for speedy, efficient and friendly service. Great stuff! Just sending you a couple of pics of your product recently installed on Valda. Thank you again for your prompt response to our orders, all wet smoothly on the slip. 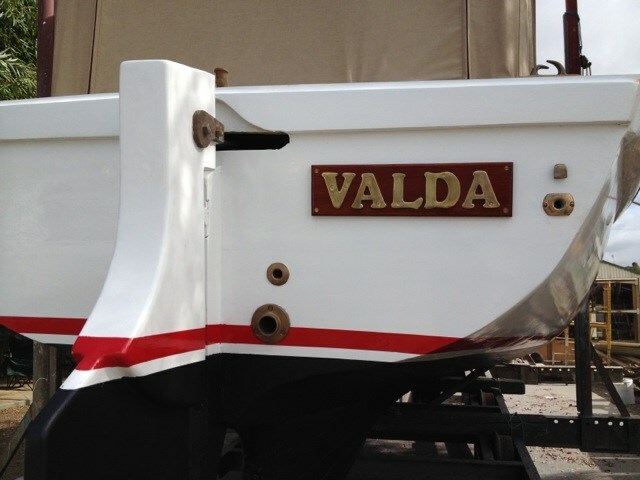 Will send pics later of all the other products purchased from you and fitted to Valda when her restoration is complete. The long awaited cross bollard arrived the other day and it looks fantastic; I am very happy with all the products that I purchased from you. Thanks for your help in getting this to me despite the few hick-ups. Your customer service is outstanding and I would recommend your company to anyone and every time! You have good products and the help and such you have provided me with has been great. 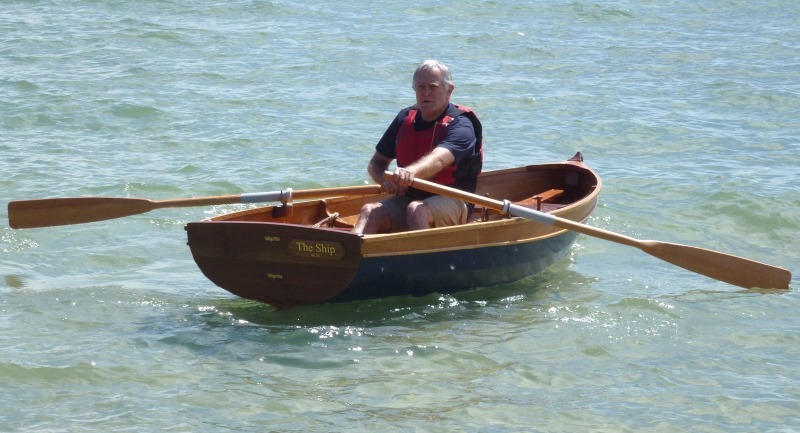 I am charged with all the ordering for about 6 wooden boats. I will continue to use your website. I enjoy doing business with Classic Boat Supplies. Thanks for your prompt response on my fittings for my self tailing Murray Winch,it was a wonderful surprise to get the spare parts and to see the winch working nicely after many years around 50 to be exact. Thanks once again and have a great new year. Thank you for the excellent, helpful service. I received that parcel this morning. You guys are super quick! I'm building a bathroom and do you think I could find copper nails to suit a copper shower tray anywhere? Lucky for Google and Classic Boat Supplies! This was the fastest online shopping experience I ever had. I ordered yesterday afternoon and the item was received this morning at Tweed Heads. Brilliant! Note - the planets don't always align this well, but by keeping stocks of a wide range of items we do try to provide the best service possible. The screws arrived before 9:00 am this morning, barely 24 hours after placing the order. That's good service! 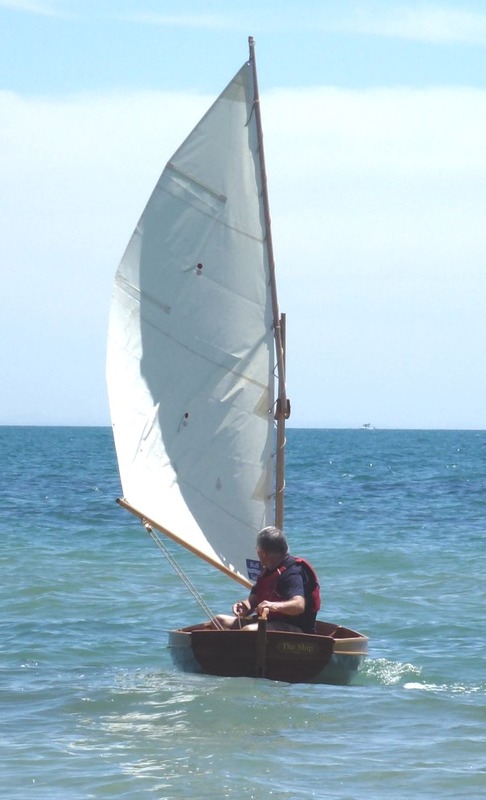 Last Sunday was the launch day for my Foster 10 dinghy and, as promised, attached are a couple of photos. I must say all the fittings I purchased from you more than met my expectations. I look forward to doing business with you in the future. Thank you for the prompt delivery of the copper sheeting and nails. The parcel arrived in tact and thank you for the care taken in packaging the sheeting. I hope to do business with you again in the future in construction of another project. Mike at Classic Boat Supplies was absolutely outstanding. Not only did he have the supplies I needed the following day, but he also went above and beyond to meet me at the train station to deliver them personally due to tight deadlines. I would be more than happy to do business again in the future and really appreciate the effort Mike put in to helping me with my project. I have received the bronze torpedo cleats in time for my project. I received my order yesterday - many thanks - the bronze porthole trim rings look great! The bronze bell I purchased last week has arrived today !! and I'm sure my hubby will love it when he opens it for his birthday tomorrow. I was a bit stressed about it arriving and I must say the lady at Aust Post in Kalgoorlie was really helpful and even rang me this morning to let me knows it was here! I recieved my purchase of bronze machine screws and was very impressed with the quality. I also enjoyed the prompt and professional service I experienced. We love the bronze letters and most of all we were particularly impressed with the personalised service, both with regard to advice and delivery. 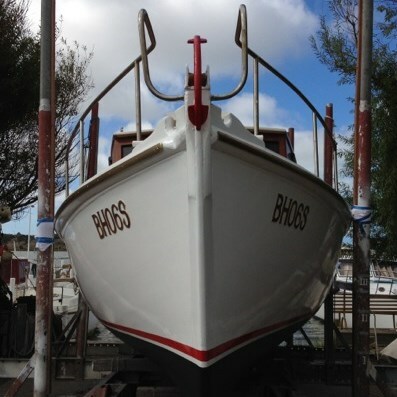 We are restoring an old boat and Mike is very helpful sourcing particular items to suit our vessel. The silicon bronze screws and nuts arrived today. I was really pleased with the quality, they were really worth waiting for. The measurements were very accurate and they fitted perfectly. You always have to worry when the dimensions are given over the phone. The bronze hex nuts arrived and work well thank you. I have only fitted one but it fitted perfectly. I have yet to use the screws I got from you but am sure they will be fine as well. 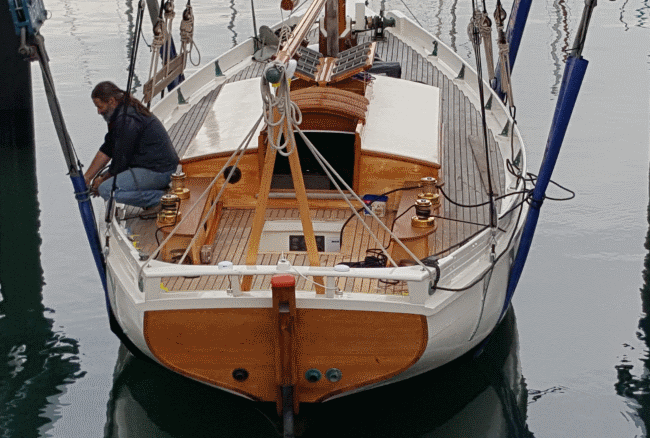 Robert is building a timber launch in the Gippsland Lakes area and required silicon bronze hex nuts and washers to make use of some threaded bronze rod he had. Classic Boat Supplies also sold Robert square-drive silicon bronze screws. Thank you for the time that you gave up to demonstrate the use of WEST SYSTEM epoxy for my exhibition at the Biennale of Sydney 2012. The project is coming along nicely. I'd like to thank you once again for the your generous contribution to the project and I hope that we meet again in the next months ahead. Classic Boat Supplies provided Peter and his team with WEST SYSTEM epoxy resin and hardener to bond large polystyrene chain links in his impressive installation at Cockatoo Island. Learn more about Peter's work.